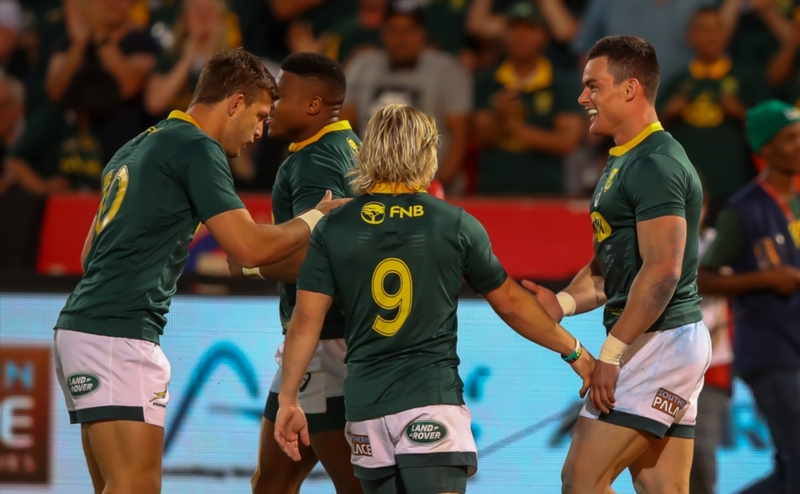 The Boks’ tactical evolution this season is cause for encouragement heading towards the 2019 World Cup, writes CRAIG LEWIS. Midway through the Boks’ clash against the All Blacks on Saturday, there was a rather prophetic Tweet from former assistant coach Gary Gold. He suggested that regardless of the result, the Springboks should be hailed for not only ‘playing better, but also smarter rugby’. Indeed, it’s not often that the All Blacks are made to look quite as ordinary as they did for large parts of the enthralling Test of attrition in Pretoria. Particularly in the opening quarter, the Boks produced a tactical masterclass that came straight off the training field, and spoke volumes about the meticulous planning that the coaching team is putting into each and every game. Having watched the Springboks train in Pretoria last week, it was clear to see that there was real purpose in the way they went about their business. 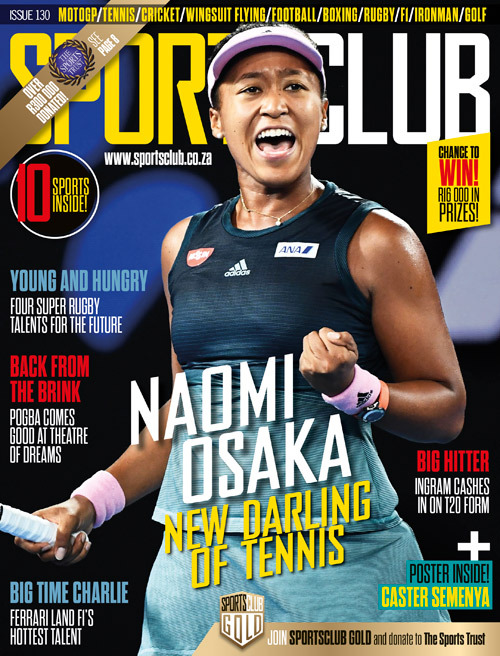 In particular, it was noticeable to observe playmakers like Faf de Klerk, Handré Pollard and Willie le Roux executing chip or grubber kicks into the corners. It was a tactical blueprint that was particularly evident during the opening exchanges as they sought to build pressure through a territorial game that turned the All Blacks around and deprived them of possession. During the opening half an hour alone, the Boks had put a considerable total of 13 kicks in play as they constantly forced the All Blacks back into their 22. At half-time, the stats were barely believable, with the Boks making 176m to 57, 65 carries to 19 and 78 passes to 24, while beating 11 defenders to four. The hosts had also enjoyed 78% of territory and 71% of possession, while forcing New Zealand to make 68 tackles compared to just 19. It was an astute approach that went almost exactly according to script as the Boks punished the rattled and weary All Blacks to race into a 30-13 in the third quarter. Of course, from there, the Springboks should never have lost. A combination of factors saw the Boks lose shape and structure, and ultimately the match, but the fact remains that for the vast majority of Saturday’s clash, they had quite simply outplayed and outsmarted the No 1 team in the world. After the clash, All Blacks coach Steve Hansen was honest enough to admit that the Springboks had forced them into an uncomfortable position where they had to spend plenty of time on defence. ‘It was a smart play, they turned us around, and didn’t allow us to get into the game, and there were long periods where we didn’t touch the ball, particularly in those first 25 minutes,’ he commented. Indeed, once the emotion of the defeat has subsided, the Springboks should be more than happy with the manner in which they effectively went about their business on Saturday. Over the course of 2018, virtually nothing has separated the Boks and All Blacks (the combined scores from the two match-ups this year reads 66-66). The Springboks will face their old foes just once in the Rugby Championship next year, and the next time will be in the pool stages of the World Cup. Increasingly, the Springboks are looking undaunted by the prospect of taking on their arch-rivals. What this season’s matches have shown is that South Africa have the ability to both physically and tactically match New Zealand. The Boks are finding a blueprint that works for them, and the coaches are empowering the players to make bold decisions and to enforce technical strategies that change from game to game. Crucially, the coaches also clearly have the buy-in from the players, with the Springboks complementing brains with brawn. It bodes well less than 12 months away from the World Cup.